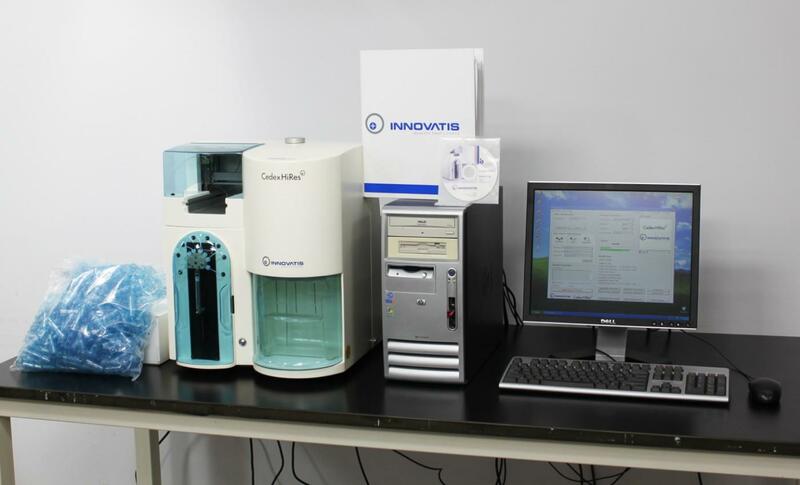 Innovatis Cedex HiRes Cell Analyzer Trypan Blue Cell Counter w/ PC & Software . New Life Scientific, Inc.
PC, Cedex Software, & Security Dongle. 90-Day Warranty. reagents/consumables for the system to be fully-operational. noticeable scratches or scuffing on the exterior surfaces. functionality. No problems were found. on bead standard for calibrations due to lack of reagents. Most tubing was not checked due to lack of reagents and other consumables.